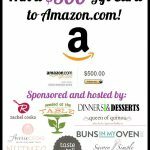 Did you know that I have 3 giveaways going on right now? It is a little bit of over kill, and I would have liked to have them more spread out, but this is just how the timing worked. Don’t miss them – the are all awesome!! Pretty sure everyone could use these! 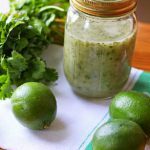 Do you make your own salad dressings, or do you buy the bottled kind? For me it depends on time, but I love making my own. 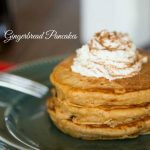 They are so much better tasting, and better for you that the store bought versions. You can change them up a thousand different ways, depending on what you are using it for. And they actually come together pretty quickly. 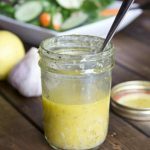 It took me less than 10 minutes to measure out all the ingredients for this lemon garlic vinaigrette. From there it was just shake like crazy to combine! And it lasts in the fridge for about a week. 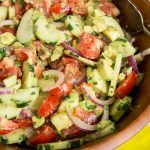 Combine all the ingredients in a mason jar or plastic container with a tight fitting lid. Shake well for 30 seconds. Serve. Store in fridge for up to a week. 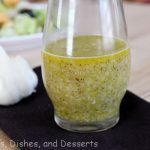 If the dressing gets solid in the fridge, just let it come to room temperature, and shake before serving. I so rarely make my own dressing, let alone buy it because I so rarely eat salads. But with my new found inspiration to make more salads, I may just need to make this! 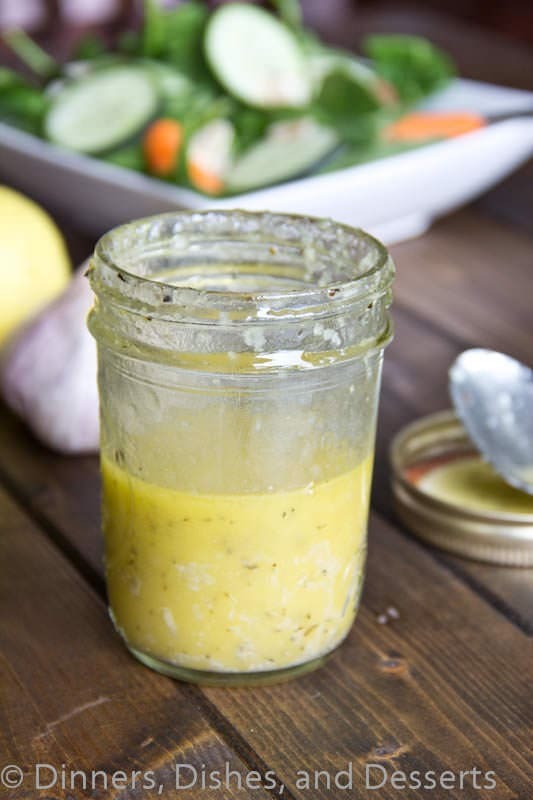 Love homemade salad dressings, especially bright and sunny ones like this! 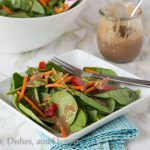 I’ve been struggling lately with finding a storebought dressing that tastes as good as homemade, but nothing comes close! 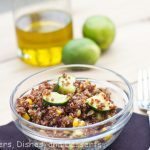 This looks amazing, Erin! 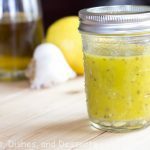 I love lemon and garlic, great dressing for summer salads! 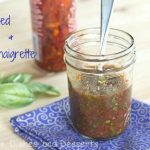 Great vinaigrette, I can see this with pasta salad as well as green salad or even a marinade for chicken. 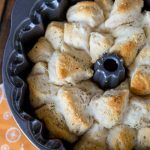 Oh this is a great idea to make in large quantities and keep in the fridge. 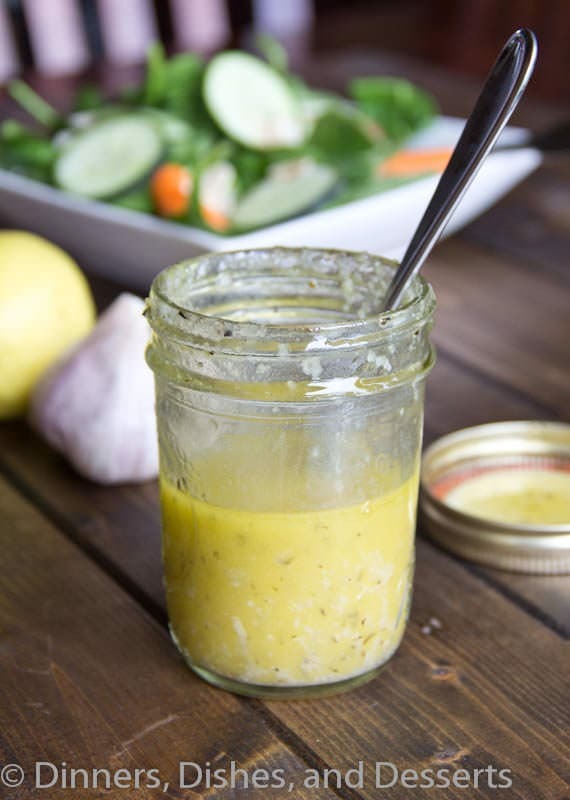 I hate store bought salad dressings and love lemon and garlic so this is definitely going to be a keeper for me! 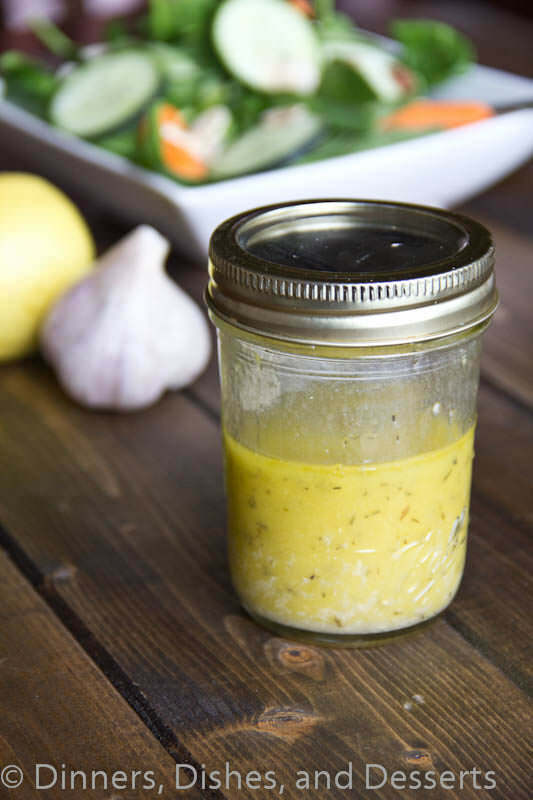 Love, love this vinaigrette! 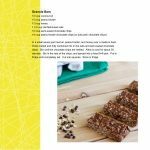 Always looking for new recipes and now I found a great one. 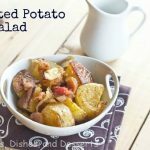 Yum, this sounds so amazingly delicious! I Love, Love, Love Garlic! I think this would be good on broccoli or green beans as well.